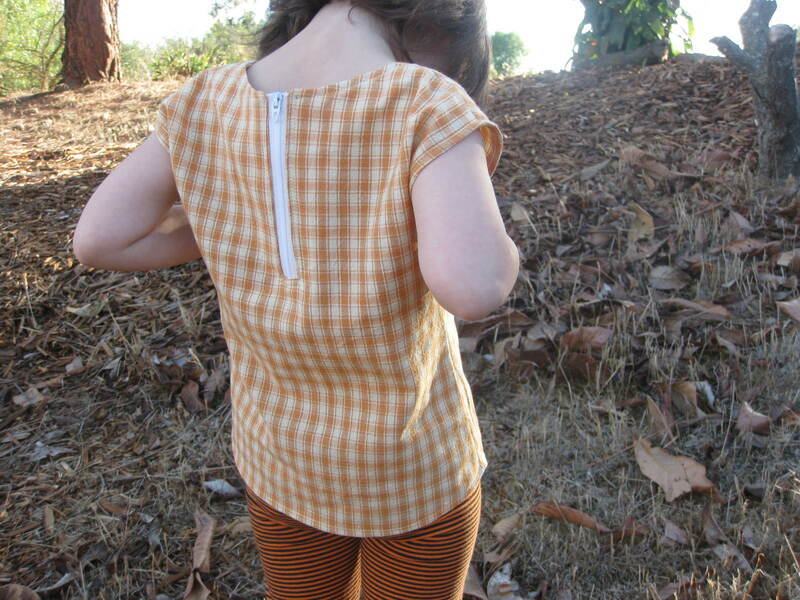 I decided to use the Little Zippy Top by See Kate Sew. 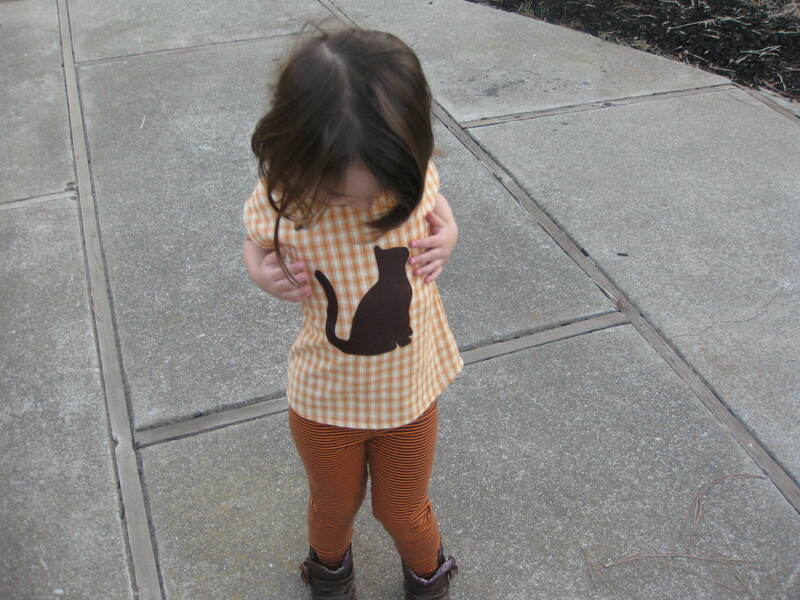 It’s such an easy and quick pattern, and my daughter loves the way it fits her. 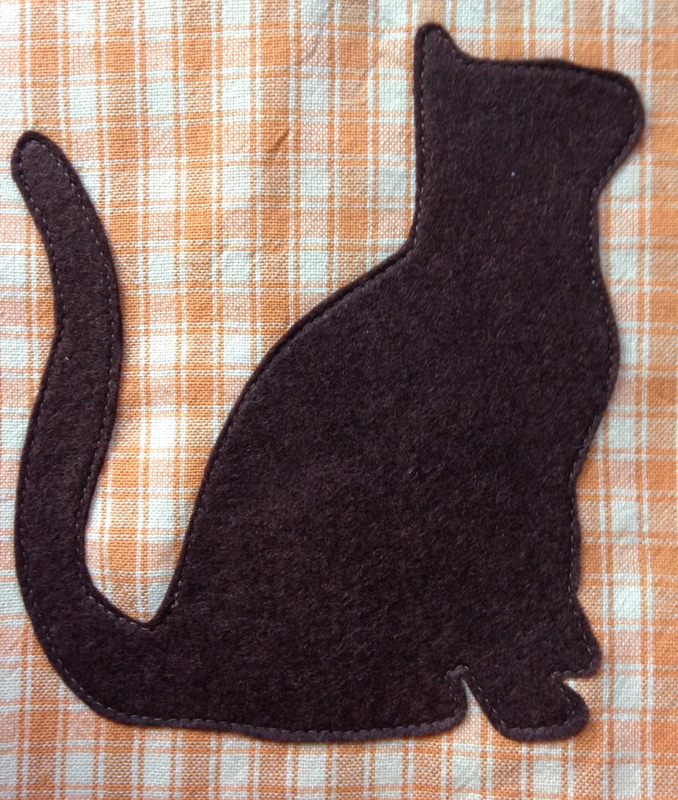 The silhouette we chose is also very simple to sew around, so keep that in mind when looking for images. First, I ironed my Wonder Under to my felt. I used my pressing cloth and followed the instructions for adhering the Wonder Under. I had to use brown felt since that’s all I had on hand. 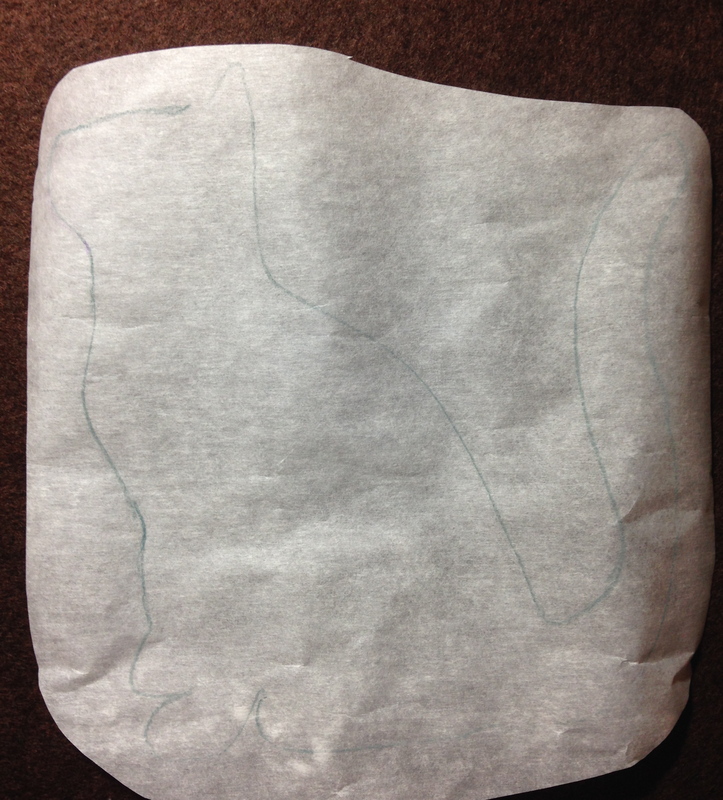 Then, I outlined the cat pattern on the back of my Wonder Under. 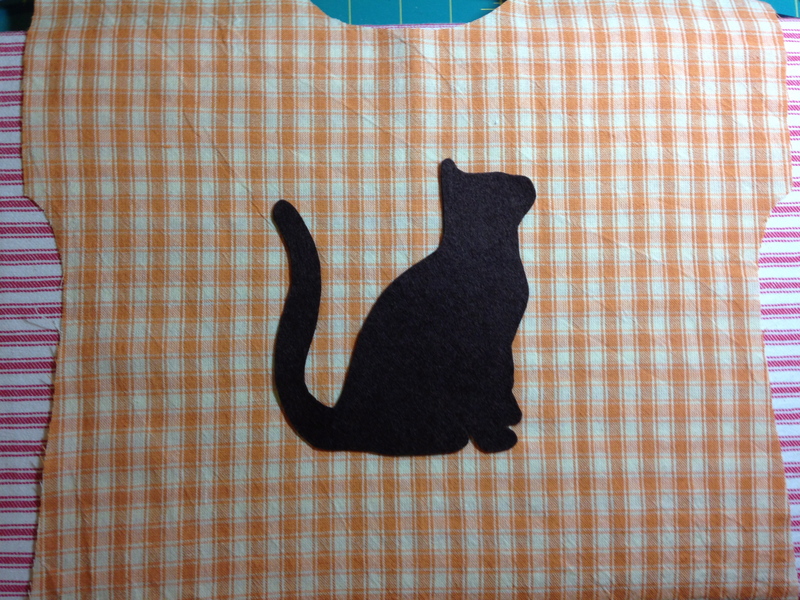 Keep in mind which direction you want your cat to face on your top before you outline the silhouette. 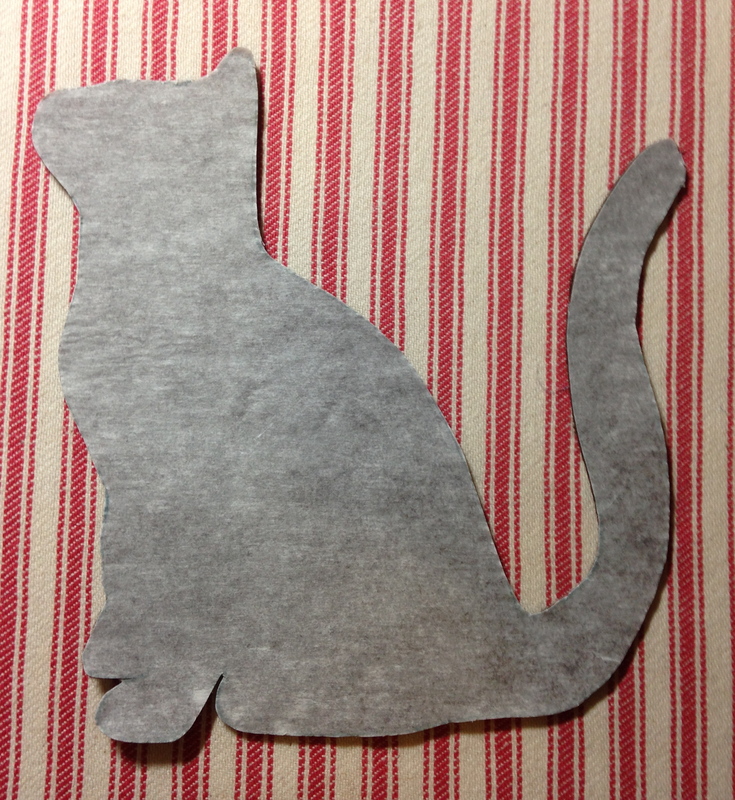 Then I cut my kitty out. Next, I placed my kitty on the front piece of my fabric. I did this after I cut out my fabric for the top, but before I sewed it together. This makes it much easier to sew the kitty on. Once I knew where I wanted the kitty, I followed my instructions to iron it on. Then I machine stitched my kitty on. I went very slowly, lifting my presser foot and turning my cat when necessary. I debated hand stitching with embroidery thread, but decided it would look simpler with machine stitching. Then I sewed my top together and Voila! A completed little zippy top with kitty! She loves it! And I love that little zipper detail. It breaks up an otherwise simple top. Here she is all smitten! I think she can definitely wear this all the time! She’s taken to referring to it as her Cookie’s Week shirt. The cat reminds her of a certain naughty little kitty in one of our library books by Cindy Ward and Tomie DePaola. 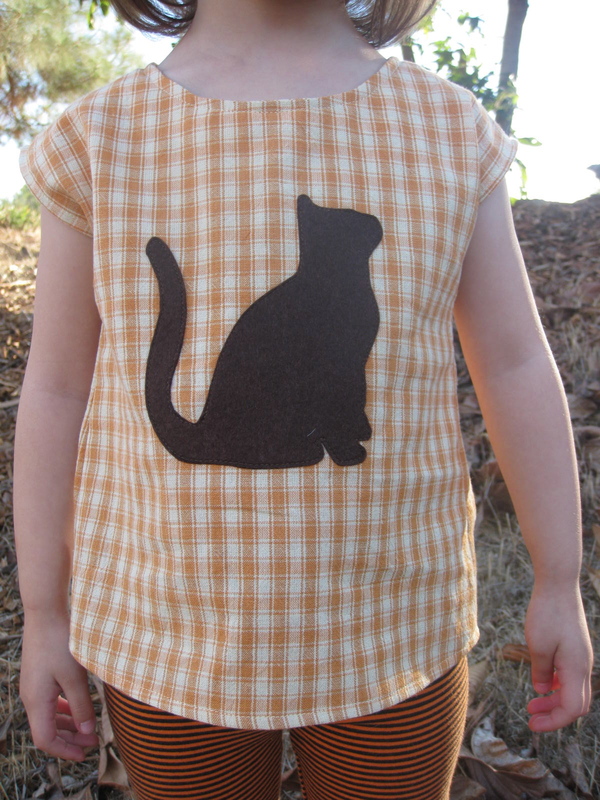 This top was a primer for the Cat Lady Sewing Challenge hosted by Miss Crayola Creepy. 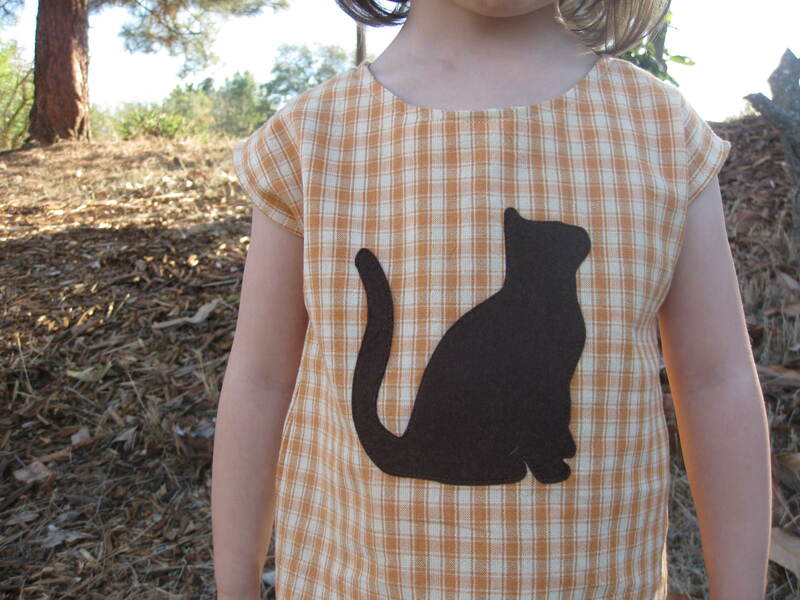 I can definitely sew more garments with cats on them!